​Just the other day I had a long talk with a mortgage broker from Omaha, Nebraska. He was telling me how some days it’s like a knife fight to get enough leads to keep him and his four loan officers booked and busy. And they don't bat an eye at paying $20-$30 a click to shove their way to the top of Google. This broker confessed that he’s tried buying leads before—if you can’t beat ’em, join ’em… right? Because when you try to call those “exclusive” leads you bought, you spend all your time leaving messages with the robots. And on the rare occasion when an actual human being answers the phone, they snarl at you that they just wanted to find out what the rates are looking like and now you’re the 17th ambulance-chasing salesperson who’s called in the last 5 hours. For this broker, 90% of his business comes from referrals—real estate agents and builders, mostly. As he’s telling me this, I can hear the frustration seeping into his voice. And I totally get where he’s coming from—I hear this story over and over from the small, independent mortgage brokers and loan officers I talk to every day. They have the goliath “Mortgage Mills” beat on everything that matters—better rates, lower fees, lightning-fast return times… And they always put the customer first, serving their needs over the interests of huge multi-national banks. So why the heck is it so hard to get leads? You’d think the average consumer would be beating a path to their door, but instead it seems like they’re running straight into LowerMyBill’s hungry jaws. If any of this is sounding familiar, I have some GREAT news for you. I’ve spent the last 15 years of my life working “in the trenches” to help clients generate qualified mortgage leads. When in fact their advertising is doing just fine—or would be, if they weren’t LOSING 3 out of every 4 potential leads because of a common error. You’re hustling and spending to generate leads, but if you don’t remove this chokepoint, most of your hard work goes to waste—like you’ve got the A/C cranked up to full blast with all your windows down. I discovered back in 2009. Most saw their leads skyrocket by up to 4X from the EXACT SAME MARKETING… marketing they were ALREADY doing. When I first stumbled into this technique, I ran a marketing agency that built template websites for mortgage companies. Leads are the lifeblood of your mortgage business. At the end of the day, if you’re not getting qualified leads from your marketing, you’re just flushing money down the toilet. But the leads just weren’t materializing. Turns out, the ads were actually doing their job. They were sending a flood of potential customers to my clients’ websites and social media pages. But then the wheels came off the wagon, so to speak. Because 99.9% of those visitors just clicked away without calling or filling out the “request a quote” form or application—they just vanished forever. Sure they’d get a couple calls and everyone wants the phone to ring. But these days fewer and fewer customers are willing to pick up the phone. Instead they do all their research online, and if you don’t catch them during the few seconds they’re on your site, you’ll never hear from them. I just knew there had to be a way to coax more of those visitors to step out of the shadows and fill out those lead forms so my clients could follow up. As it so happens, there’s a whole science dedicated to exactly that—it’s called Conversion Optimization. The more I read, the more I realized just how deep this rabbit hole went. Even tiny changes to your marketing can make a huge difference. Just tweaking the color of a button or reorganizing the questions on a form can spike your leads through the roof—or send them crashing to the floor. 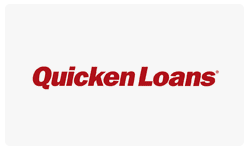 ​Companies like LowerMyBills, LendingTree and Quicken Loans had already invested millions and millions of dollars into this research. They’d hired the best “top-gun” marketing and programming geniuses money could buy… then spent years testing, tweaking and fine-tuning their marketing strategies until they could consistently generate leads at a profit. Nonsense like this gives ALL mortgage companies a black eye and makes your job 100X harder at every step. I realized that if I could reverse engineer their lead generation approach, then I could put those same battle-tested techniques to work for MY clients. 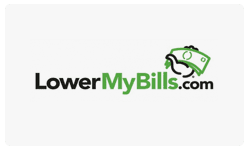 The idea of turning the tables on the “schoolyard bullies” like LowerMyBills made me giddy. So I got out my microscope and took a long, hard look at what these big companies were doing. The way that LowerMyBills and these other goliath companies capture leads is NOTHING like the way most typical mortgage companies do it. The home page is a hopeless jumble of navigation, logos, links and graphics competing for your attention. Hidden somewhere in that mess you’ll probably find a “request a quote” button. And when you click that button, you jump to a form that looks a lot like your standard loan application form, with a bunch of text fields for contact information like name, phone and email and others for financial data like credit score and income. After all your visitors want to know about your rates… And you can’t provide a good quote without collecting all the right information. But put yourself in your visitor’s shoes for a minute. You’ve found a home you want to buy, and now you’re looking for a mortgage. The typical consumer doesn't realize they should look for a mortgage FIRST - they jump straight into finding their dream home. That's why Realtors always get the leads first... more on how to flip that on its head in just a minute! And right up front, this website slaps you in the face with a big, scary form demanding all your sensitive personal data. These days people are very suspicious and protective of their information—and for good reason. They’re scared of identity theft. Who in their right mind would fill out a huge (and intimidating!) form like that? Even if it’s a referral. We all know referrals aren’t a slam dunk. Once I realized this, I started to wonder how my clients were getting ANY leads from their marketing. 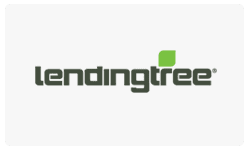 Well LowerMyBills, LendingTree and the others have known about this problem for years. And it’s an even bigger problem for them, because where your marketing budget might be just a couple thousand dollars a year, they’re spending tens of millions. For the customer, this “Inside Out” lead capture form feels more like a simple video game or easy “quiz”. 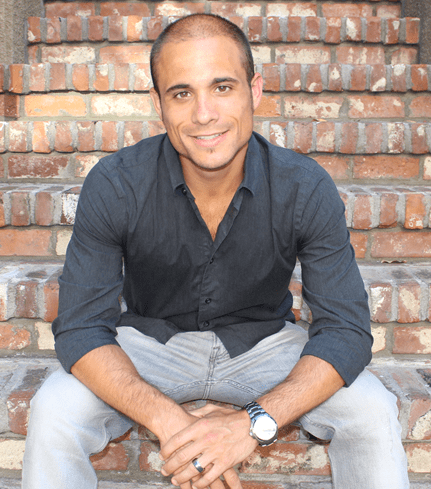 I became obsessed… I resigned from my position as co-founder of the template mortgage website company. Anyone could build a website; I was on a quest to solve REAL problems clients were seeing. After some thorough testing I convinced several mortgage professionals to try this approach in their marketing. The results just blew us away! "Best investment we have made in many years. We've received 106 leads. Out of those leads, we've contacted 87 of them & closed 23, resulting in over $85,000 in commission checks. Needless to say, I am very happy with the results we've received." These early results were exciting—but I wanted to be sure it wasn’t a fluke. To really “torture test” this idea, I needed to find a BIG client, who was already spending a ton of money to generate leads. And that’s how I ended up on the doorstep of one of the largest names in the online mortgage/real estate world in July 2012. Since they’re pretty touchy about the use of their company name and I’d rather not get any emails or letters from their legal team, let’s just say their name starts with “Z” and rhymes with “willow” — we’ll call them “Big-Z” for short. And allow me to be clear: we are no longer working with Big-Z. They are not endorsing or sponsoring leadPops in any way. This information I’m sharing is based on the case studies and data we collected when we partnered with them in 2013. I’d build my new “Inside Out” lead capture pages for free—if they’d agree to test them in the Mortgage Marketplace side-by-side with their current landing pages. But my persistence finally paid off and Big-Z agreed to the showdown. My team and I set up a landing page for one of Big-Z’s largest advertisers—an independent mortgage company that was spending MAJOR bucks (over $60,000 a month) to drive clicks to a traditional “request a quote” form. It didn’t take long to declare a winner. Our new quiz funnels smoked their old-fashioned lead capture form by 83%. And several of our other quiz funnels worked even better! The client was thrilled—just like that they were getting nearly twice the leads and hundreds of thousands of dollars in new mortgage business from the SAME AD BUDGET. Over the next 8 months we launched over 30 mortgage lead generation campaigns with Big-Z, and in every case our quiz funnels DESTROYED the outdated lead forms—generating 2-4X more leads. You might be thinking that is hard to believe, and I don’t blame you. I trained the Big-Z team on using my approach, and today these “Inside Out” quiz funnels are the backbone of their $28.2M Mortgage Marketplace. These results left me more convinced than ever that I was onto something big. And I wanted to get this new, powerful tool into the hands of every hard-working independent mortgage broker and loan officer in the country. I already had a team of programmers that was up to the challenge. And since I worked with so many LOs as clients, I had the resources to test these funnels. But my clients were STILL shelling out thousands of dollars for my team to put together these pages for them—and while the investment quickly paid off, I found that many independent LOs couldn’t afford the upfront expense. I needed to find a way to make this technology available to everyone at an affordable price. And that’s how the NEW and IMPROVED leadPops Funnels 2.0 came to be. So what are leadPops Funnels exactly? 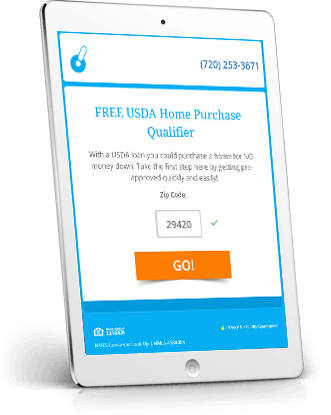 The heart of the leadPops Funnels system is our proprietary set of mortgage “quiz funnels” that make it easy and fun for your customers to request personalized help from you. 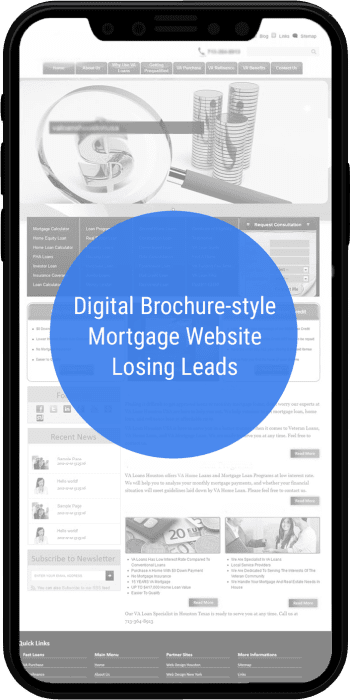 Because these pages are 100% custom designed for YOUR specific needs as a LO, they blow away the standard “one-size-fits-all” forms that generic landing page software spits out… AND the wannabe lead capture forms “built into” those mortgage website templates. 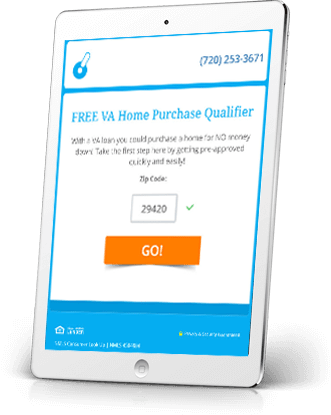 On that note, if you’ve been disappointed with the leads from your mortgage website… these funnels are exactly what you’ve been missing all along. These quiz funnels are fast and easy to deploy in your business—they plug right into your existing marketing in less than 5 minutes. And because we’ve refined and tuned these quiz funnels through hundreds of tests, they work like crazy for every LO that tries them. It’s like releasing the emergency brake that’s been slowing your marketing to a crawl—suddenly every dollar you spend on ads generates as much as 2-4X more leads. It might sound crazy, but that’s what conversion optimization is all about—compelling potential clients to take action! 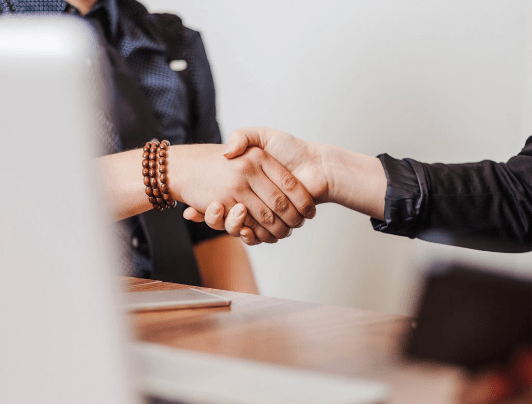 Funnels connect you with your potential client so that you can do what you do best—build a relationship, help them with their loan, and make some decent money while you’re at it. And with each question she answers, the quiz funnel “rewards” her progress. She gets more and more engrossed, and before she knows it she’s at the point of no return. And since you’ve built a relationship with her by focusing on HER needs, she’s happy to fill in her name, phone number and email address. Now on the surface this looks like a simple process, but there’s some deep psychology at work here. The wording of the questions. The colors of the buttons and where elements are positioned on the page. Weird things you’d probably never think of like hover effects, instant answer validation, hot keys… subtle animations and interactions to help guide potential clients along… Even the order of the questions themselves can make or break your success. And once they’re invested in the process, they’re more than happy to share their email and phone number so you can follow up with them. That means that more leads—in many cases 2-4 times more—from the SAME advertising budget. YOU generated these leads through your marketing, and you’ll never have to scratch and claw with 15 other LOs to close them. Then there’s the lead quality. First off, you get MUCH more than just a name and phone number. You’ll have at your fingertips all the information you need to instantly sort the closable customers from the hopeless lost causes. And when you pick up the phone, these people are EXPECTING to hear from you, and they’re HAPPY to talk to you. That’s right—no more playing phone tag with tire-kickers who dodge you and “screen” your calls. Instead they’ll be impressed and appreciative of your outstanding customer service. 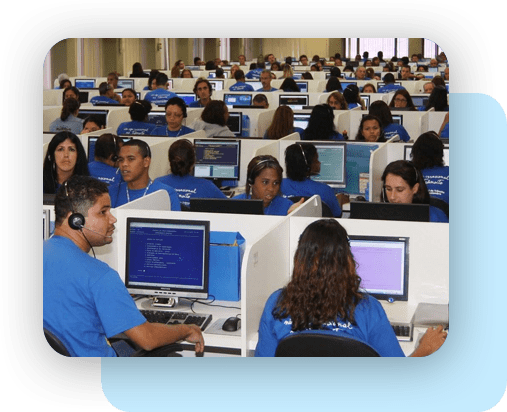 Your customers are happy because they actually enjoyed the experience of requesting a quote—without going through a mortgage telesales slaughterhouse to get the info they wanted. And you’re happy because you’re getting truly EXCLUSIVE leads, including all the data you need to provide an accurate quote—and then connecting with real human beings instead of getting the voicemail cold-shoulder. "Thank you so much! We've had 3 leads come in this weekend...2 warm and 1 hot! I'm so excited to have you guys on my team! I have been nothing but impressed by how professional & knowledgeable your company has been. Thanks again & have a great day!" "I have referred a number of my clients and prospects who are looking to build new landing pages or improve the number of leads generated from their existing website. leadPops’ industry knowledge, response time, and attention to detail is outstanding, and many of my clients have shared with me their appreciation for referring them to leadPops." Until today, leadPops was only available to a relatively small group of mortgage brokers and LOs who could afford a sizable upfront investment—and had the time to wait patiently. See we were 100% focused on polishing the leadPops “quiz funnels” for our clients. That didn’t leave us much time to automate the process of getting started with leadPops. And they still had to wait weeks before they could start using their leadPops funnels in their business. And after 11 months of late nights by my programming and marketing wizards (and mountains of trail mix and empty Suja juice bottles), I’m proud to announce that I’m finally ready to throw open the doors on the all-new leadPops Funnels. The heart and soul of Funnels 2.0 is what I call our Mortgage Marketing Funnels. 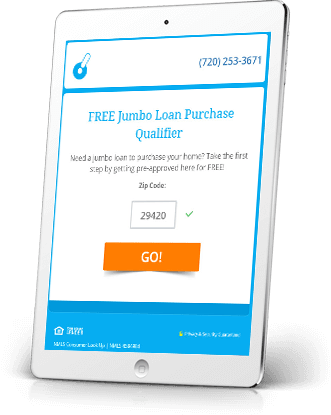 This is a collection of 15 plug-and-play, ready-to-go leadPops “quiz funnel” mortgage landing pages. 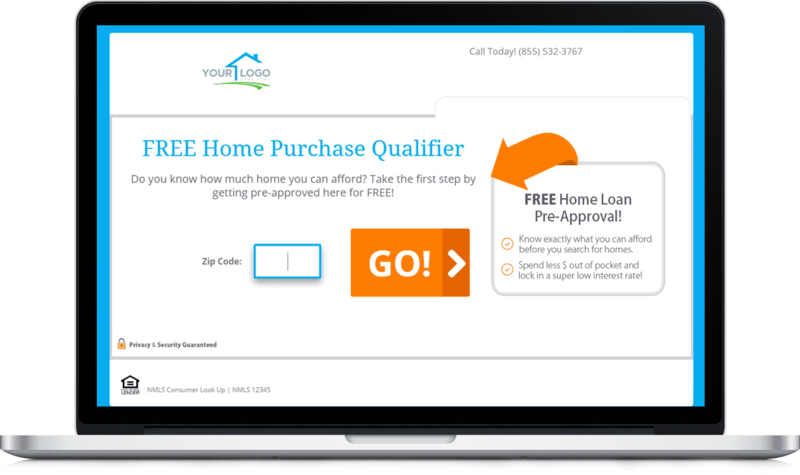 Each of these pages is purpose-built to attract a specific type of mortgage customer—and then convert them from an anonymous click to a qualified lead. These pages are powered by our proprietary Relationship-Building Technology, which is the software engine behind the quiz-style pages that makes them so irresistible and “sticky”. And when you sign into your account just a minute from now, you’ll find your Mortgage Marketing Funnels ready to go—all you need to do is tell leadPops where to send your leads (you can get them by email, text message or both). We've even baked compliance in for you - just answer a couple of easy questions and we handle the rest! Whether you prefer to work with home buyers or find you write a lot of refis, there’s a funnel here that’s perfect for your business. 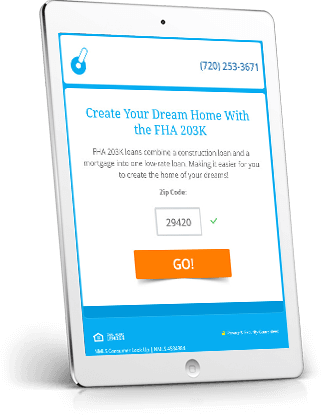 These 15 funnels include all of the most popular loan products, including conventional, FHA, VA, jumbo, and USDA loans—and covering purchase, refinance or general rate quote scenarios. Each of these funnels includes a pre-built, “just add traffic” quiz landing page that’s tuned specifically for that type of loan. Turns your partners websites – such as realtors, builders, CPAs – into instant lead generation machines – for you AND them ! Also known as floating bars and notification bars, the sticky bar is a great way to highlight your best offer – and get your prospective clients to take action. They boost engagement and conversions. 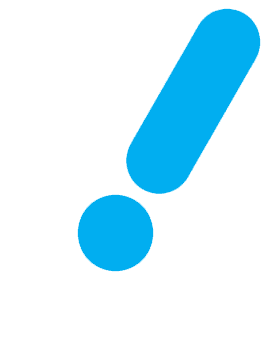 The leadPops Sticky Bar screams to be noticed ... it's a dynamic call-to-action that captures the attention of your prospects, and drives them to your lead generation funnels. Why the leadPops Sticky Bar is Awesome! The leadPops Sticky Bar can be put at the top or bottom of your website. It will follow your visitors, and ALWAYS be visible. You can have it show on every page of your website, or just specific pages. You can have the same offer shown on all pages, or customize the sticky bar with different offers on different pages – making them more relevant to the content on each page. With the leadPops Sticky Bar, you can create a prominent call-to-action that can't be missed – and drive the clicks to any of your 32 mortgage & real estate funnels. Why your partners will love the leadPops Sticky Bar! You'll be adding value to your referral partner – by helping THEM get more leads. ​​The leadPops Sticky Bar is very easy to setup. With just a few clicks in your leadPops admin panel and one small snippet of code – you can have the Sticky Bar showing on your partner websites, and your own site as well. You can customize the call-to-action and button. You can place it on most websites, blogs, landing pages, and single property websites. And leadPops will track leads back to each funnel, and to which Sticky Bar on which page the leads came from. Add the leadPops Sticky Bar to your marketing arsenal – and kick your lead generation efforts, and visitors-to-leads conversions into overdrive today! And within minutes you're capturing more leads - leads that your current marketing is ALREADY generating. Need more traffic? No problem. We can work with you 1-on-1 to set up your new funnels, then buy clicks at a rate you can easily afford. Thanks to the tracking built into every leadPops Funnel, you’ll see exactly how much profit you’re making for each lead you generate. While these funnels are ready to go as is, you have a lot of flexibility to personalize them if you choose—by uploading your logo as well as a “hero image” and custom background to match your branding, and by creating custom “welcome” and “thank you” messages to set the right tone. You can even craft a personal email message that fires off to your new customers as soon as they submit the finished quote form—letting them know what to expect next and opening a dialog with them. Keep in mind, everything comes ready to go for you. You don’t have to spend hours and grief figuring out new technology, or coming up with effective marketing call-to-action language, or the right questions to ask in any given scenario—we’ve done all of that for you. When a new lead hits your inbox, you get notified instantly—by email, text or both. You’ll have all of the information you need to qualify the lead right there in the email, so you can follow up immediately. And you can control which types of leads go to each of your team members, so every new lead gets routed to the right LO, every time. Since your leads are the lifeblood of your business, every new lead that comes in is backed up on leadPops’ secure, encrypted servers. You can log in to your leadPops dashboard at any time to see your new leads, email individual leads to members of your team—even export a history of all of your leads. You’ll never have to worry about leads falling into the “email abyss” and disappearing forever. 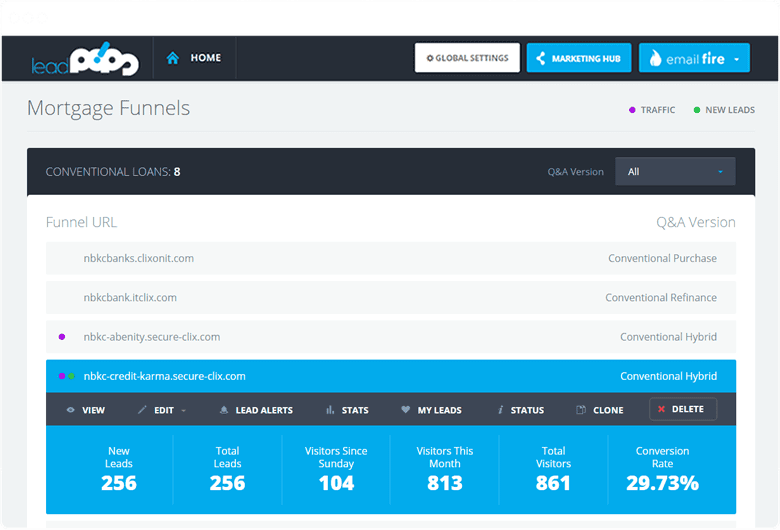 The leadPops dashboard also gives you a “command center” view of how your Funnels are performing. You’ll see exactly how many prospective customers viewed your leadPops Funnels, as well as how many leads you’ve collected and your overall conversion rate. (And if you’re a seasoned marketer, you can even install Google Analytics on each Funnel for further insight with just a few clicks!). That way you can see at a glance which of your marketing efforts are paying off—and which are wasting your hard-earned ad dollars. In the past our clients paid $597 all the way up to $4997 - just for setup, plus $97 a month - at a minimum, that's a 1-year cost of $1,761 PER FUNNEL. Even at that cost, LOs were clamoring to get access because they had NO doubt their investment would pay off. As a leadPops member, there’s no need to pick and choose—you get all 15 Funnels included at NO extra charge. You’ll also get 5 funnels to generate leads for more “exotic” products like 203K, HARP and reverse mortgages. Each of these Funnels is worth $1,761, but I’m throwing them in as a bonus for trying leadPops. That's because the real estate agent is in the driver's seat - not you. There isn't a lot you can offer that the next mortgage broker or LO easily top. Realtors know it too—and many of them aren’t afraid to milk you (and the other 8 LOs they’re stringing along) to see who comes up with the best perks this week. This “Loyalty Lock-In” package flips all that on its head. Now instead of crawling to realtors with hat in hand, you’ll suddenly find THEM chasing YOU. You’re calling the shots—because you can help them get what they all desperately want: more qualified buyers and sellers. These will be some of the easiest partnerships you’ve ever set up. You can cherry pick your favorite big producers and offer to let them use your real estate funnels to convert more leads from THEIR marketing. Best of all, you don’t even have to convince the agents by yourself. You just whet their appetite, and then my team will jump on a 15 minute call and show them what a strategic alliance with you can do for their business. Now every lead the agent generates through your leadPops real estate funnels gets sent to BOTH of you—instantly and automatically. The realtor gets more leads, and better quality leads. You get more leads too. But you also get peace of mind—because you don’t have to worry about whether the agents you recruit will stay loyal. You effectively own a part of their marketing machine—they can’t cut you out even if they want to because you get instant notifications as the leads come in! Pick and choose your agents. If they’re tough to work with or not producing, cut them loose. 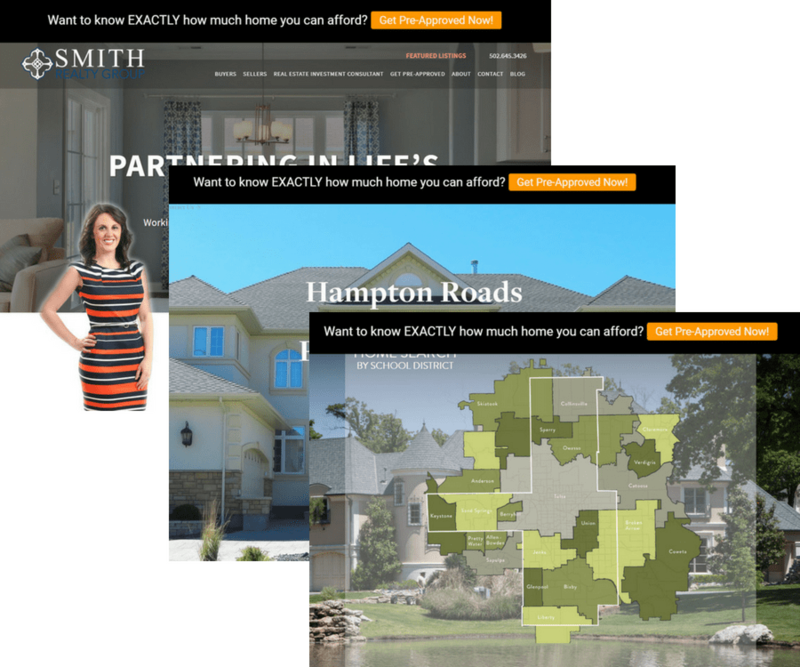 Need more real estate Funnels for more agent partnerships? Just let us know and we’ll hook you up. ​This is a game changer for many of our clients - a realtor marketing strategy that actually WORKS. ​Now this package isn’t even something we offer normally. If I had to put a price on all this—we’re talking the real estate funnels, plus the script and coaching and my team’s direct involvement to help you seal the deal—I’d charge a minimum of $10,000 per year. You get it with your leadPops Funnels 2.0 membership for no extra charge. That’s because 50% or more of your customers are looking you up from their smartphone or tablet… And that number will only continue to grow over the next 2-3 years. Potential customers using tiny, touch-screen devices are even less likely to fill out the standard-issue “request a quote” or loan application form than customers on a regular PC. ​We saw this trend developing several years ago, and that's why we created leadPops Mobile. These aren’t your typical “mobile” website pages that just rearrange a few controls around to cram the page into a smaller screen. Every leadPops Funnel has a dedicated mobile version, designed from the ground up to be just as fast, fun and easy to use on a small touch screen device as the standard version is on a PC. We automatically detect what device your customer is using and send them to the correct version of your Funnel. They get the best possible experience—and you get more leads as a result. In the past leadPops Mobile was an add-on… You’d pay a $297 setup fee, plus $47 a month—PER FUNNEL. To build just 1 of these mobile Funnels and use it for 12 months you’d pay $861. But with your full suite of desktop Funnels—all 32 mortgage and real estate Funnels—I’m including a matching leadPops Mobile Funnel with auto-detect built-in… as a bonus at no additional cost. Only to have those leads “fall through the cracks” because it’s such a headache to transfer the leads into the LO’s email newsletter software for consistent, regular followup. That’s why your leadPops membership also includes our powerful, full-featured email newsletter and marketing automation software that we call Email Fire™. Now every time you capture a lead the customer’s contact information syncs seamlessly to your Email Fire™ account. ​NO double entry of contacts. New leads drop into separate “buckets” based on which funnel they came from. You’ll know at a glance who’s buying a new home and who’s looking to refi—and you can customize your email followup accordingly. The email software alone would cost you $97 per month—and that’s not including the expense of hiring a software developer to get your contacts syncing automatically. Plus you can cancel your existing email newsletter software and save the $50-$100 a month you’re shelling out now. Your leadPops membership includes 500 contacts and UNLIMITED emails for FREE—and as your list grows you can get another 500 for just $25/month. ​In your marketing, small tweaks can often mean the difference between an ad that gets results—and an utter failure. 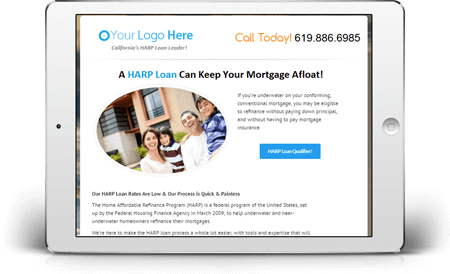 Here at leadPops there aren’t many mortgage marketing challenges we haven’t already faced and overcome. And when you’re a leadPops customer, you have our combined experience at your fingertips. Working on an email blast to your customers? ​​Shoot it over to us - we'll take a look and make sure it's going to get the results you want. ​​What about a direct mail campaign? We can help with that too. In fact, we’ve coached leadPops clients on every type of advertising you can imagine, from radio ads to referral marketing. Typically we’ll respond when you call in, same day, or at most within 24 hours. What is the value of having this kind of real-world mortgage marketing know-how on speed dial? Well, my per-hour consulting rate is $500. My team regularly charges $2,500-5,000 to put a client’s marketing under the microscope. If you used this “hotline” just once a quarter, it’s easily worth $2,500—not to mention the savings in your marketing budget and the improvement you’ll see in your response rates. But as a leadPops member, you can tap our combined expertise with my complements. There is NO shortage of marketing “how-to” information on the Internet. How do you sift and sort the important strategies and tactics that will help and grow your business… from the toxic “advice” peddled by the sharks and charlatans in the “online marketing” underworld? So I’ve worked with my team to compile an online library of marketing know-how. I call it the leadPops Marketing Hub. This is NOT a generic, “one-size-fits-all” data dump. And tested and tailored SPECIFICALLY for the mortgage industry. You'll get checklists, reference guides and cheatsheets that you can read quickly and apply TODAY to improve the results from your marketing campaigns. In these marketing action plans, or MAPs, you’ll find proven strategies for your online marketing… including search engine optimization, pay-per-click, social media, email blasts… and traditional “offline” channels such as flyers, radio ads, magazine ads and even referral marketing. And we’re just getting started. My team updates the Marketing Hub regularly with fresh “this stuff works in the real world” techniques we’ve gleaned from our daily tests and experiments. And if a leadPops client had asked us for this set of guides, I’d have charged at LEAST $5,000 to produce them. My #1 goal is to see your marketing succeed, so I’m including instant access to every one of these action plans… plus ALL of the plans we’ll be adding in the weeks and months ahead… at no additional charge. 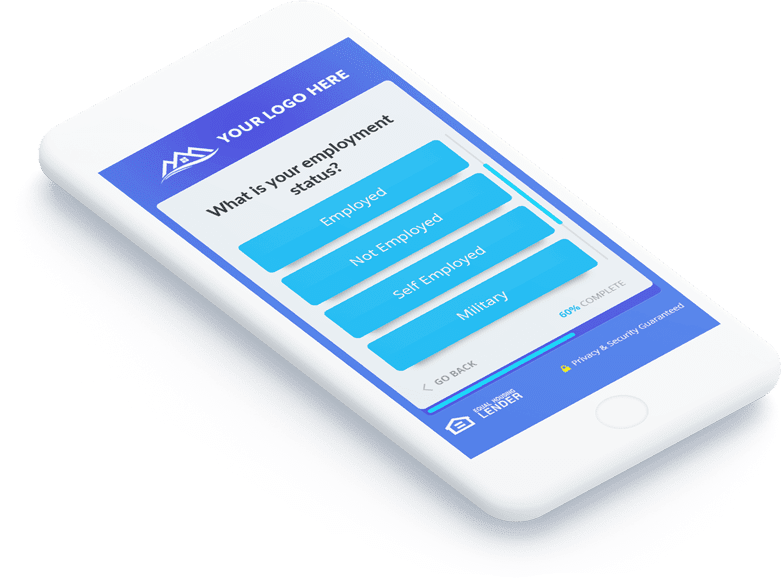 ​Until today, the only way to get access to leadPops was to hire my team to create a custom set of “quiz funnels” for your marketing campaigns. And even with those restrictions, there were more LOs clamoring for access than my team and I could keep up with. So we went back to the drawing board… and streamlined and automated the whole “getting started with leadPops” process. You can be up and running in just 5 minutes. You can get all this for a fraction of what you’d have had to pay in the past. That’s a total of $88,936 worth of mortgage marketing tools and laser-targeted marketing advice for YOUR business. But you’re not going to pay $88,936. You’re not going to pay $78,936. Or $10,000—or even $500. Membership in the ALL NEW leadPops is just $87 per month. That’s less than you’d pay for a couple of those “live-transfer” leads from the big-shot lead companies. And if you close just ONE extra mortgage in the next 12 months, you’ll easily recoup your investment. You and I both know that talk is cheap. These days anyone can put up a web page and make all kinds of claims about how they can save you money and fix your business. To show you how serious I am, I’ve decided to try an experiment. You can test drive leadPops on me… FREE for 30 days. You’ll agree that leadPops is the best thing to happen to your business in years. We don’t play that game at leadPops. We’ve helped several hundred mortgage brokers and loan officers over the last 3+ years, and I’ve seen this lead capture system in action time and time again. It just plain works. Every. Single. Time. And I’m willing to back that up with real money. That's right - you get guaranteed results or your money back. That’s practically unheard of in the marketing world. Now you’ll notice I’ve included a couple of conditions in our guarantee. But they’re not there so I can “weasel out” of this agreement. Actually they add an extra layer of protection for you. The last thing I want is for a part-time LO with NO marketing plan and NO goals for their business to sign up for leadPops because they think it’s some kind of “easy button” or “if you build it, they will come” solution—and then be disappointed later. I’ll let you know that straight up so you can invest your money in a way that makes sense for your business. There’s literally NO risk for you here. If you use leadPops for 12 months you WILL get more leads (and close more loans)—guaranteed. I have to confess that I’m a little nervous about this whole deal. Especially my offer to personally hold your hand and set up partnerships with high-performing realtors... And the unlimited access to your personal "marketing help hotline." I’ve decided to stick my neck out and make this offer as a limited-time experiment. If we get anything like the response I’m expecting, I’ll be forced to yank this free trial offer (and the bonuses too). So the time to get in on this offer is right NOW. Within minutes or hours, your leadPops Funnels will be sending you up to 2-4X MORE leads than you’re getting today. …and my team and I will be there to help ensure your success every step of the way. ​​How long until I see results? It depends on a number of factors. If you’re already doing marketing, you could easily start seeing results the day you go live — new leadPops clients experience this all the time. If you’re not doing any marketing, or just getting started, it may take a few weeks, or even a few months. 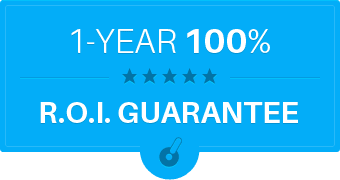 That’s why we offer the 1-year ROI guarantee. The fact is, 99% of our clients close more loans as a result of working with leadPops, and they usually start seeing results within the first 90 days. In some cases, it’s just a couple more loans per year. In others, it’s dozens, and for some clients, even hundreds more loans, depending on your marketing and advertising budget. A leadPops marketing coach will be able to get a better idea of how soon YOU will see results based on your current amount of web traffic, marketing, and referral generation efforts, and we’ll set the right expectations with you during your free 30 day trial evaluation period. At just $87/month, showing you a positive ROI is piece of cake, hence the guarantee. ​​2-4X more leads? I find that hard to believe. You’re smart to be be skeptical. Here’s what I can tell you: In 2012 leadPops landed a deal to work with 30 of the top mortgage advertisers on Zillow. And every one of those 30 companies got more leads using leadPops Funnels than they were generating with their old landing pages. In some cases their leads “only” doubled. Many saw their leads jump by 3X or better. 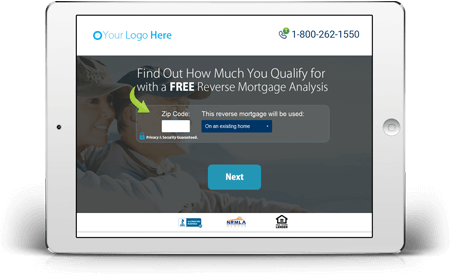 Over the last 4 years, my team and I have rolled out leadPops Funnels for hundreds of mortgage companies all over the country—and generated more than 500,000 leads. This technology is tested and proven. It works—every single time. 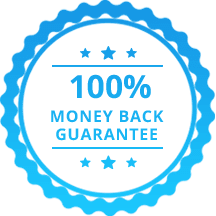 I’m so confident that leadPops Funnels will work for you that I offer a 1-year “ROI money back guarantee.” If you use leadPops for 12 months and DON’T generate enough leads to cover the cost of your membership, I’ll return every penny. Where else in marketing is anyone willing to guarantee results like that? ​​Will anyone else have access to my leads? Let me be crystal clear about this: We will NEVER share your leads with anyone. They are YOUR leads that YOU are creating with YOUR marketing. The leads you generate are locked away on our secure, encryption-protected servers where you alone can get to them. Because of this, you’ll never need to worry about another broker or LO beating you to the punch. ​​How is this different from the quote form on my website? The difference is usually night and day. Unlike most mortgage website and technology companies, we’ve spent the last 5+ years testing and refining everything from the questions and messaging, to the colors of the buttons, animations, and visual cues that keep borrowers moving forward through to completion of our Funnels. 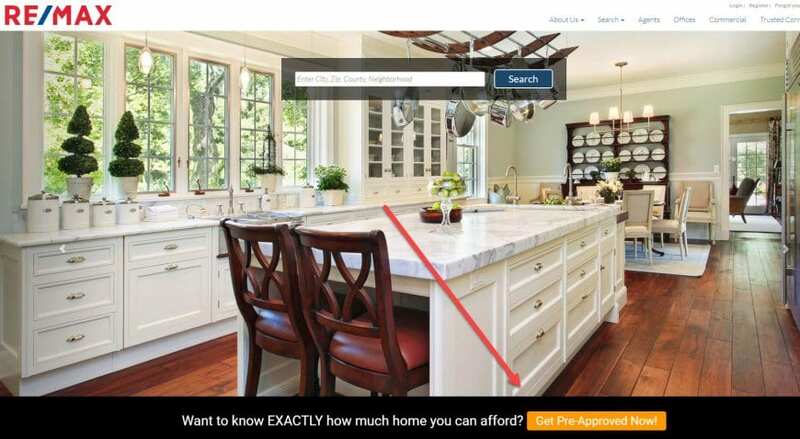 We’ve partnered with companies like Zillow and Bankrate, allowing us to leverage clients that spend millions of dollars on marketing to test out our strategies and technology on an ongoing basis. We’re constantly improving our tools and working to increase conversions for our mortgage clients. Same traffic and marketing budget, 2-4X more leads are the results our mortgage advertisers are seeing regularly by implementing leadPops Funnels in their business. ​​How do I drive traffic to my funnels? There are countless traffic sources that we can turn on and off like a spigot to get you more exposure, but remember: it starts with setting up the right foundation first — one that’s designed to convert qualified leads. You can’t do business with clicks. Your website (the main “hub” of all your marketing — if you have a website and it’s not optimized to convert leads properly, the ROI on all of your other marketing efforts will suffer as a result), landing pages, and niche microsites should all be optimized to drive traffic to your Funnels. Also, direct traffic sources, like: email blasts, e-newsletters, rate tables, search engine marketing, display ads, videos, webinars, social media, re-targeting, blogging, Realtor & builder co-marketing, directory websites, and more. We’ll also help you drive traffic from offline campaigns, like: mailers, postcards, magazines, newspapers, radio, television, events, etc. The best part is, my team is here to partner with you, offering unlimited 1:1 coaching to help make sure you’re getting the most out of your leadPops Funnels. We won’t leave you hanging with great lead capture tools and no traffic, just keep in mind: traffic is usually not the problem. ​​​I’m just getting started with marketing my mortgage business. Can leadPops Funnels help? ​​I’ve tried other marketing “systems” before that were a complete waste of time and money. What makes leadPops any different? No technique, approach or system is right for every business. leadPops Funnels solves a very specific problem—we help mortgage brokers and LOs who are hustling to generate business but not getting the leads they want from their marketing. If that’s you, leadPops can help. 1. You can test drive leadPops FREE for 30 days with no obligation. If you’re not thrilled you can cancel without paying a single penny. 2. Setup is fast and painless—you’ll be up and running in less than 5 minutes, so your time investment is minimal. 4. You have up to 1 full year to evaluate leadPops Funnels and make sure your investment is paying off. If after 12 months you find that you have NOT at least earned back the cost of your membership, I’ll refund your investment for the year. That’s a bold guarantee, but I sleep soundly at night because most leadPops Funnels customers earn a return of 3,300% or greater on their membership. Remember, when you claim your free 30-day trial membership, you also get access to the full $88,936 worth of marketing tools, training and support available to our full-price members. This offer will NOT be around for long, though. ​If you're serious about getting more leads and growing your business, this deal is too good to miss. ​leadPops Funnels WILL revolutionize your marketing. You may never get an opportunity like this again.